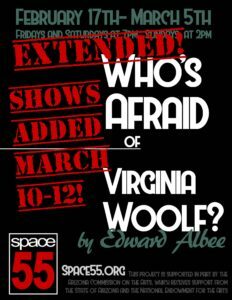 Who’s Afraid of Virginia Woolf? EXTENDED!!! 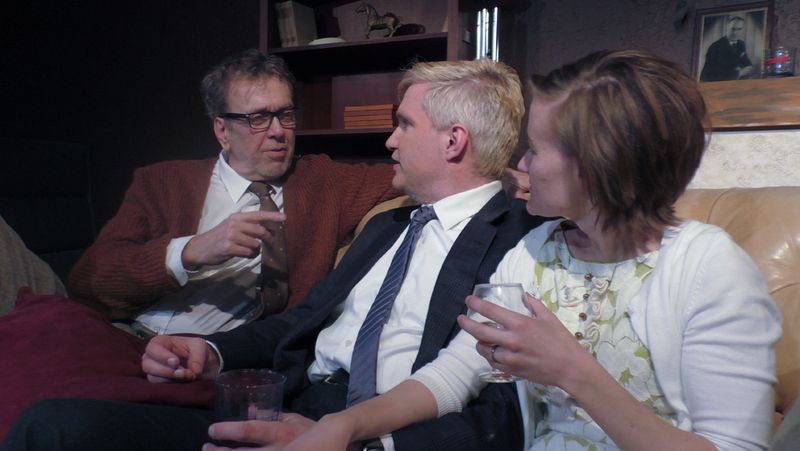 “Who’s Afraid of Virginia Woolf?” examines the breakdown of the marriage of a middle-aged couple, Martha and George. Late one evening, after a university faculty party, they receive an unwitting younger couple, Nick and Honey, as guests, and draw them into their bitter and frustrated relationship. The play is in three acts, normally taking a little less than three hours to perform, with two 10-minute intermissions. *This project is supported in part by the Arizona Commission on the Arts, which receives support from the State of Arizona and the National Endowment for the Arts. 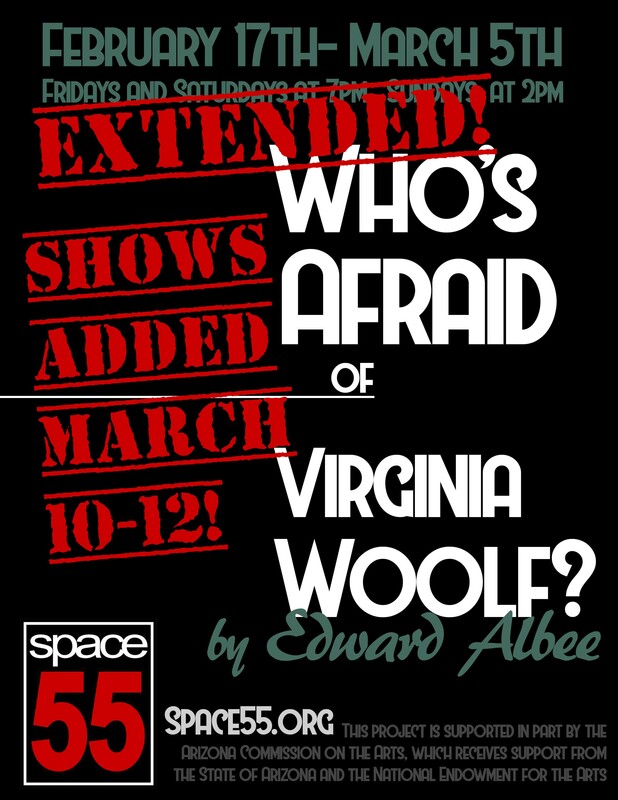 Due to the overwhelming positive response to this production, we have extended this run by an additional week! Originally planned to close on March 5, we are now running through March 12.